We've teamed up with Caltex to bring you our SADD 5 Star School award. SADD want to recognise and reward those schools who do extra and achieve more! Do you think your SADD group stands out from the rest? Do you strive for change? Would you like some recognition for the great work you're doing in your school and community? We've teamed up with Caltex to bring you our SADD 5-star School award. Your group will have criteria to meet and you'll have to stay in touch with our team. Wanna find out more? Orewa College is our sole 5 Star School for 2018! The group has done some awesome work this year, with everything being led by the students and ably supported by their teacher Mrs. Cowley. They are led by a committed and passionate group of Year 12 students, who have ensured that quality activities have been run throughout the year that engage both seniors and juniors. They have a detailed and sustainable plan for their committee, have created online content for the SADD Social Media pages, and have a dedicated space on the school website. The SADD group raised over $300 with a fundraising bake sale! It was awesome to be able to get to Orewa College in person to present their framed certificate and prizes in a school assembly – a great way to finish off an epic year for our new 5 Star School by recognising their achievements in front of their peers! The group have collaborated with numerous other road safety partners such as the NZ Police and Auckland Transport, and some activity highlights include the SADD Student Survival Packs they created for the Orewa College ball, a billboard design competition, a safe driving chalk road course and using a cardboard cutout of the Ghost Chips guy for their Remember September campaign! Tuakau College was our first 5 Star School in the country! The students have worked incredibly hard and have great support from the school and the community. Their SADD group met every week and had 14 committed and passionate members of all ages. They had their own Facebook page, posted regularly on SADD's social media pages, and were featured on the front page of their school website! 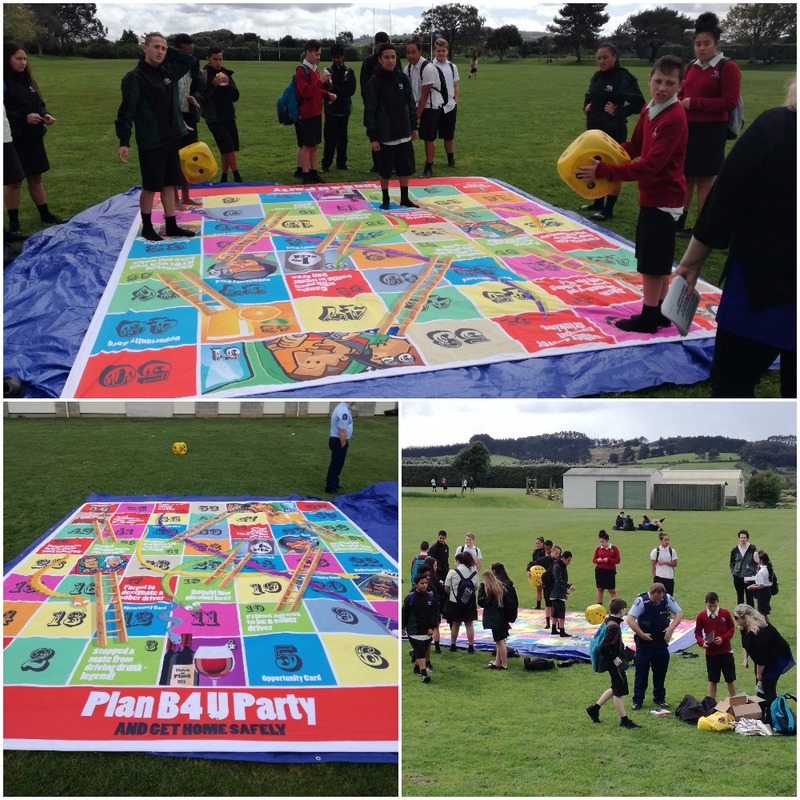 Tuakau College collaborated a lot with the local council and the Police, especially with this giant snakes and ladders board! Students had to think up 2 road safety facts in order to get a sausage at the sausage sizzle! Tuakau College ran heaps of great activities last year. They had a Remember September campaign which reached the entire school and saw them nominated for School of the Month. We were proud to present Tuakau College as our first 5 Star School. Special thanks must go to their SADD student leader Bree Hitchener and staff member Alison Robertson for the amazing work they did. 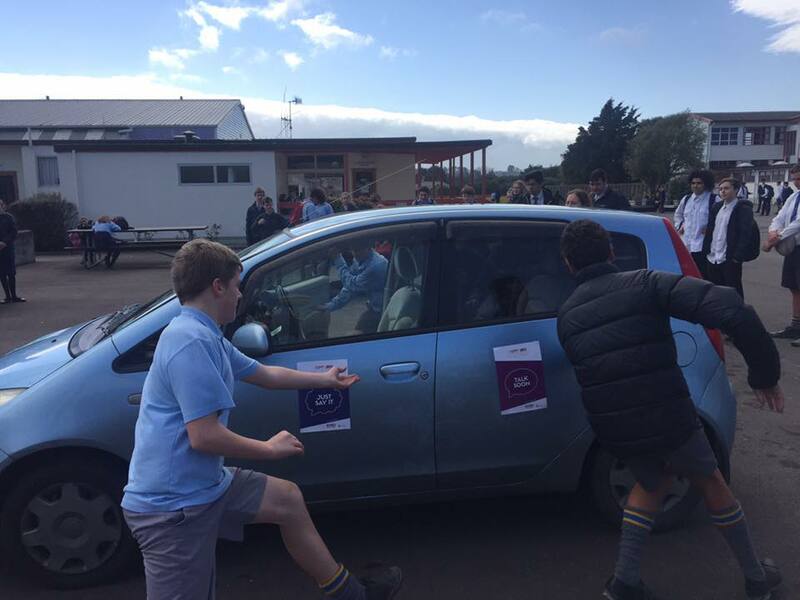 Tararua College was very involved with SADD last year. We were thrilled to be able to present them as our second 5 Star School in the country for 2017! Some of their outstanding efforts included running an epic Remember September which earned them 'School of the Month' and showcasing new activities including Car Jam, Seatbelt Race and SADDagrams. Showcasing a brand new activity - Seat Belt race! They made an effort to support other schools in their community and to collaborate with Debbie Webster from the local council. 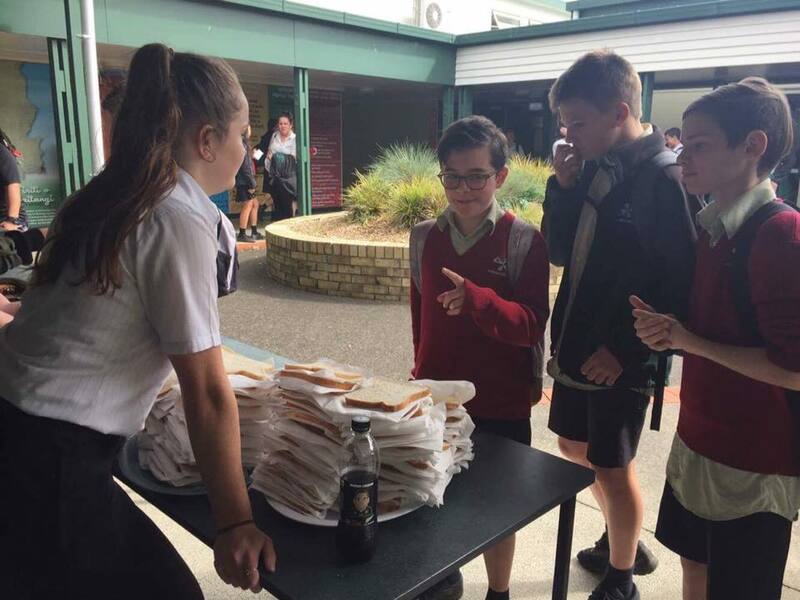 They built their own SADD website, hosted on the Tararua College website, and fundraised with a sausage sizzle and mocktails to raise money for our charity. We are so lucky to have been able to work with their teacher Rachel Ireland and their SADD chairperson (and National Leader) Jerome McLean-Burton. We are proud of their work and what they have done for SADD. Congratulations Tararua College!